Memory box includes an area for a treasured photo. It also provides storage for personal keepsakes of your loved one. 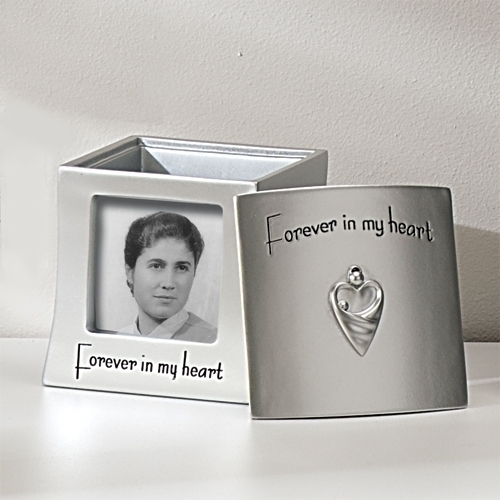 This photo keepsake box is an ideal sympathy gift with a timeless and reassuring message. Photo area is 2.5" x 2.5"